4:05 p.m. - 100 block of W. Liberty St., John Husvar, III, arrested and charged with disorderly conduct and resisting arrest. Police responded to a report of a man hitting storefronts and mailboxes with a bo staff. According to a report, police thought they knew who the suspect was and went to Husvar's apartment complex. Police said his door was open, and he was standing in front of a table with a welded hammer and knife on it. When they asked Husvar to step into the hallway, police said he moved a shoelace around like a whip, threatening to cut the officer's fingers off. Police said he told them he was on a mission from God to bring joy to everyone. 12:09 p.m. - 100 block of E. Broadway Ave., Ronnell Roland, charged with trafficking in drugs. According to a report, police responded to an alleyway for a suspicious SUV. Police said the whole alleyway smelled like marijuana. They found a blunt in the cupholder, as well as a bag of marijuana and suspected cocaine in Roland's pocket. According to the report, Roland said he was there to sell crack to someone. Additional charges could be filed after drug lab test results come back. 12:32 p.m. - Trumbull Avenue and S. State Street, Robert Milligan and Thomas Milligan, III, both charged with possession of marijuana. Police said they found marijuana during a traffic stop. According to police, the passenger also turned over a black metal grinder with marijuana inside. 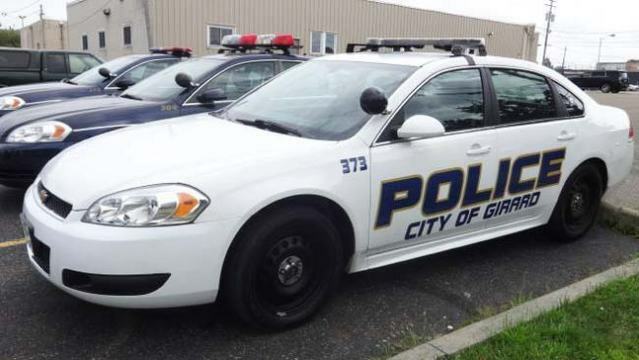 Disclaimer: These reports don't represent all calls made to the Girard Police Department. This public information was provided in reports from the Girard Police Department. Items reflect charges filed, not convictions.